Stratford is a town in Fairfield County, Connecticut, United States. It is situated on Long Island Sound along Connecticut's "Gold Coast" at the mouth of the Housatonic River. Stratford is in the Bridgeport–Stamford–Norwalk Metropolitan Statistical Area. It was founded by Puritans in 1639. The population was 51,384 as of the 2010 census. It is bordered on the west by Bridgeport, to the north by Trumbull and Shelton, and on the east by Milford (across the Housatonic River). Stratford has a historical legacy in aviation, the military, and theater. Stratford was founded in 1639 by Puritan leader Reverend Adam Blakeman, William Beardsley, and either 16 families (according to legend) or approximately 35 families (suggested by later research) who had recently arrived in Connecticut from England seeking religious freedom. In 1639 the General Court in Hartford made reference to the town as the "new plantation at Pequannock". In 1640 the community was known as Cupheag, a Native American Paugussett word meaning "at the enclosed place" or "place of shelter". By April 13, 1643, the growing town was known as Stratford, changed to honor William Shakespeare's birthplace of Stratford-upon-Avon in England. Stratford is one of many towns in the northeastern American colonies founded as part of the Great Migration in the 1630s when Puritan families fled an increasingly polarized England in the decade before the civil war between Charles I and Parliament. Some of the Stratford settlers were from families who had first moved from England to the Netherlands to seek religious freedom, like their predecessors on the Mayflower, and decided to come to the New World when their children began to adopt the Dutch culture and language. In the town, the population was spread out with 23.0% under the age of 18, 5.8% from 18 to 24, 28.5% from 25 to 44, 23.5% from 45 to 64, and 19.2% who were 65 years of age or older. The median age was 42.2 years. For every 100 females, there were 89.0 males. For every 100 females age 18 and over, there were 85.6 males. The median income for a household in the town was $53,494, and the median income for a family was $64,364. Males had a median income of $45,552 versus $34,575 for females. The per capita income for the town was $26,501. About 3.5% of families and 5.0% of the population were below the poverty line, including 5.6% of those under age 18 and 5.8% of those age 65 or over. Stratford is home to the headquarters of Sikorsky Aircraft, a Lockheed Martin (LMT) subsidiary founded by Igor Sikorsky, developer of the first successful American helicopter. Every Marine One (the helicopter of the President of the United States) has been manufactured in Stratford since 1957. On July 20, 2015, Lockheed Martin announced an agreement to purchase Sikorsky Aircraft from UTC for $9 billion. The Stratford Army Engine Plant (SAEP) was a U.S. Army Tank-Automotive and Armaments Command installation and manufacturing facility, located along the Housatonic River and Main Street opposite Sikorsky Airport. 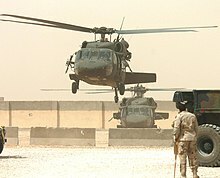 Because of the Base Realignment and Closure actions of the United States Department of Defense, closure of the plant was recommended in July 1995. The SAEP closed on September 30, 1998. For the next 11 years the Army was involved with "Team Stratford" to develop the property. The United States Army, which owns the 78-acre (320,000 m2) site, auctioned it off on March 19, 2008, with a winning bid of $9,612,000 which also includes the 1,720,000-square-foot (160,000 m2) facility of over fifty buildings. This bid failed to be paid off and is now being placed for rebid. Currently Robert Hartmann of Hartmann Development has a $1 billion plan to develop the former Army engine plant into a destination resort. Stratford is served by several major highways, including Interstate 95 (Connecticut Turnpike), U.S. Route 1 (Boston Post Road) (Boston Avenue and Barnum Avenue), the Merritt Parkway (Route 15), Route 108 (Nichols Avenue and King Street), Route 110 (East Main Street and River Road), Route 113 (Lordship Boulevard and Main Street), and Route 130 (Stratford Avenue and Ferry Boulevard). Stratford Emergency Medical Service (SEMS) is the state-licensed, advanced life support (paramedic) and basic life support, municipal EMS provider to the Town of Stratford. Established in 1909, the fire department operates out of four stations located throughout the town. The fire department staffs 4 engine companies, a truck company, a tactical rescue unit, and a shift commander. The department responds to approximately 6000 calls annually. Created in 1917, the Stratford Police Department has a force of 98 officers. The department's units include arson investigation, crime prevention, identification & forensic unit and narcotics & vice. Stratford also has a boat patrol, a K-9 unit, and an animal control unit. Public education in Stratford is managed by the Stratford Board of Education, which operates 13 schools: two high schools, two middle schools, and nine elementary schools. The district has about 7,600 students and 870 staff. The company operating the theater ceased operations in the mid-1980s, and the building has been vacant since then. In February 2005, the Town of Stratford received the deed for the Stratford Festival Shakespeare Theater from the state of Connecticut. In 2006 it selected a New York City development company to reopen the theater as a tourist destination, but the company's contract was terminated in July 2007 because of lack of progress. In 2019 the theatre burned to the ground. Since 2002, the Hudson Shakespeare Company has presented one showing of their Shakespeare in the Park in the amphitheater behind the Stratford Library. Javier Colon, singer-songwriter, winner of season one of The Voice, grew up in Stratford and graduated from Bunnell High School. Bancroft Gherardi (1832–1903), US Navy rear admiral and veteran of the Mexican–American War and American Civil War. Moby, songwriter-musician-singer, lived in Stratford (1974–1976), attending Birdseye Elementary School. Victoria Leigh Soto (1985-2012), school teacher. Attended Stratford High School, resided in Stratford. Victim of the Sandy Hook Elementary School shooting. Currently rests at the Union Cemetery in Stratford. Gideon Tomlinson (1780–1854), noted lawyer, member of the United States House of Representatives (16th through 19th Congresses), Senator for Connecticut (22nd through 24th Congresses), and 25th Governor of Connecticut, born and interned in Stratford. ^ "Race, Hispanic or Latino, Age, and Housing Occupancy: 2010 Census Redistricting Data (Public Law 94-171) Summary File (QT-PL), Stratford town, Connecticut". U.S. Census Bureau, American FactFinder 2. Archived from the original on September 11, 2013. Retrieved August 11, 2011. ^ "Stratford History". Stratford Historical Soiety. Retrieved April 4, 2018. ^ John C. Huden (1962). "Indian Place Names of New England". library.si.edu. Retrieved April 4, 2018. ^ "Corsair". Uswarplanes.net. 1940-05-29. Retrieved 2013-05-19. ^ Christopher Drew; Chad Bray (July 20, 2015). "Lockheed Martin to Buy Sikorsky Aircraft for $9 Billion". NYTimes.com. Retrieved December 5, 2016. ^ "Event Viewer". Townofstratford.com. Archived from the original on July 17, 2011. Retrieved January 2, 2011. ^ "Former Army plant proposed as destination resort - Connecticut Post". Ctpost.com. 2010-10-23. Retrieved 2011-01-02. ^ Special to the New York Times (1983-01-22). "nytimes.com: Dead Identified In Turnpike Crash". Connecticut: New York Times. Retrieved 2011-01-02. ^ "Stratford, Connecticut - Mayor Harkins Biography". Townofstratford.com. Archived from the original on October 5, 2010. Retrieved January 2, 2011. ^ "Stratford, Connecticut - Police Department". Townofstratford.com. December 22, 2010. Archived from the original on November 14, 2010. Retrieved January 2, 2011. ^ Michael Romsky. "Stratford Animal Control | Home". Stratfordac.org. Archived from the original on January 1, 2011. Retrieved January 2, 2011. ^ "Stratford School District School District - Stratford, Connecticut - Education Bug". Connecticut.educationbug.org. June 1, 2007. Retrieved January 2, 2011. ^ "Program Overview for Stratford CT Public School's ALPHA Program". Stratfordk12.org. March 26, 2007. Archived from the original on April 24, 2011. Retrieved January 2, 2011. ^ "Connecticut school named for slain Newtown teacher Victoria Soto - U.S. News". Usnews.nbcnews.com. October 24, 2012. Retrieved February 15, 2013. ^ "Connecticut School of Broadcasting - Career in Radio & TV". Gocsb.com. Archived from the original on June 22, 2009. Retrieved January 2, 2011. ^ "Technical Schools in CT and MA | Porter and Chester Institute". Porterchester.com. Retrieved January 2, 2011. ^ "School For Aviation Maintenance Technicians". Cttech.org. Retrieved 2011-01-02. ^ "Brakettes Archives". Archived from the original on March 2, 2009. Retrieved October 21, 2009. ^ Hays, Graham (July 21, 2008). "The saga of the Stratford Brakettes". ESPN. Retrieved 2009-10-20. ^ "Brakettes (history)". Archived from the original on July 6, 2009. Retrieved October 21, 2009. ^ "Brakettes All-Time Roster". Archived from the original on February 25, 2012. Retrieved October 20, 2009. ^ "IMDb: Most Popular Titles With Location Matching "Stratford, Connecticut, USA"". imdb.com. Retrieved December 5, 2016. ^ "The History of Lordship!". Lordshiphistory.com. Retrieved January 2, 2011. ^ "StratfordStar.com • News". Acorn-online.com. Archived from the original on October 19, 2009. Retrieved January 2, 2011. ^ "Online Directory: Connecticut, USA" at Sister Cities International Archived October 2, 2006, at the Wayback Machine. Retrieved March 27, 2007. ^ "Raymond Earl Baldwin". Cslib.org. Retrieved January 2, 2011. ^ "William Beardsley (1603 - 1661) - Find A Grave Memorial". Findagrave.com. Retrieved 2011-01-02. ^ Genealogical notes, or contributions ... - Google Books. Books.google.com. Retrieved 2011-01-02. ^ "COOKE, Joseph Platt - Biographical Information". Bioguide.congress.gov. Retrieved January 2, 2011. ^ Bagley, Jason (2012-11-28). "'Dancing with the Stars' Winner Hails from Stratford - Entertainment - Stratford, CT Patch". Stratford.patch.com. Retrieved 2013-05-19. ^ "US People-Gherardi, Bancroft, Rear Admiral, USN (1832-1903)". History.navy.mil. 2004-04-18. Retrieved 2011-01-02. ^ "JOHNSON, William Samuel - Biographical Information". Bioguide.congress.gov. Retrieved January 2, 2011. ^ "About the Author". StephenKing.com. Retrieved January 2, 2011. ^ "Nancy Marchand". imdb.com. Retrieved December 5, 2016. ^ "biography". moby.com. Archived from the original on 2010-12-27. Retrieved 2011-01-02. ^ "Invent Now | Hall of Fame | Search | Inventor Profile". Invent.org. February 20, 1926. Archived from the original on December 5, 2010. Retrieved January 2, 2011. ^ "Stratford, Connecticut - Proc-090610-Tom Penders (Sterling House)". Townofstratford.com. December 22, 2010. Archived from the original on July 17, 2011. Retrieved January 2, 2011. ^ "PLANT, David - Biographical Information". Bioguide.congress.gov. Retrieved January 2, 2011. ^ "Loring Smith". imdb.com. Retrieved December 5, 2016. ^ Prominent and progressive Americans ... - Google Books. Books.google.com. November 7, 2008. Retrieved January 2, 2011. ^ "TOMLINSON, Gideon - Biographical Information". Bioguide.congress.gov. Retrieved January 2, 2011. ^ "Historic Sites from the Connecticut Society of the Sons of the American Revolution". Connecticutsar.org. 2009-09-10. Retrieved 2011-01-02. Wikimedia Commons has media related to Stratford, Connecticut. Wikivoyage has a travel guide for Stratford, Connecticut. This page was last edited on 8 April 2019, at 23:38 (UTC).